Oh man, it’s one of my favorite food times of the year! SUPER BOWL SEASON. Not that I really give a damn about football (unless the Packers are playing) but I am here for all the game day foods. I am all about the entertaining so that while everyone is occupied with the TV, I’m in the background eating everything in sight. 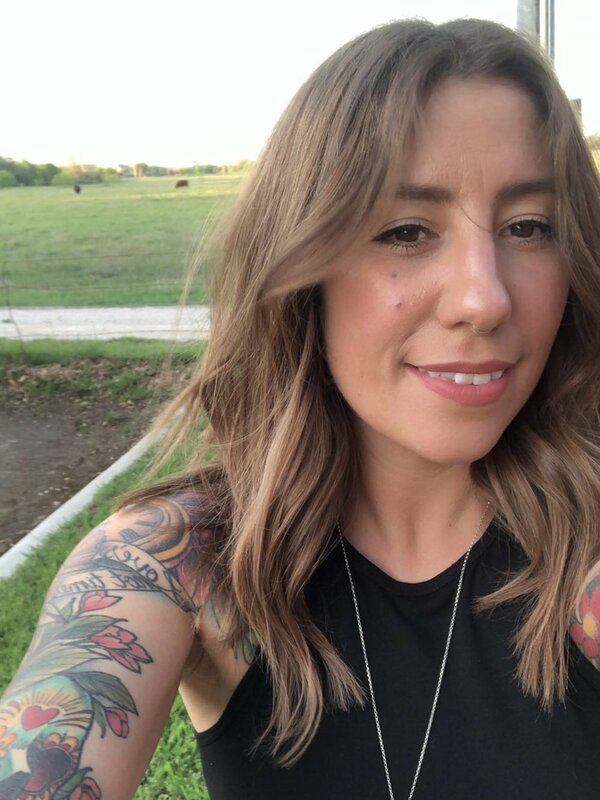 However, I want recipes that I can throw together easily that feed a crowd so that I can spend more time mingling with friends and family. 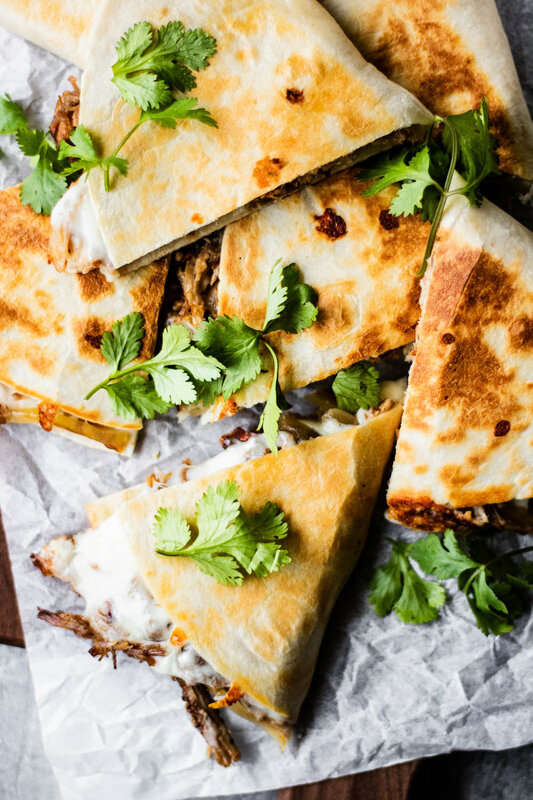 These instant pot carnitas quesadillas are PERFECT for that. Now, obviously the quesadillas aren’t made in the instant pot, but the carnitas are! I have a similar recipe on my site already for braising them the old fashioned way, but the instant pot makes everything so much easier and faster. Rather than braise pork for 3+ hours, the instant pot gets it done in a hour! Which means less prep time for me and more time drinking beer and eating snacks. The important part is crisping up the carnitas after they’re shredded! 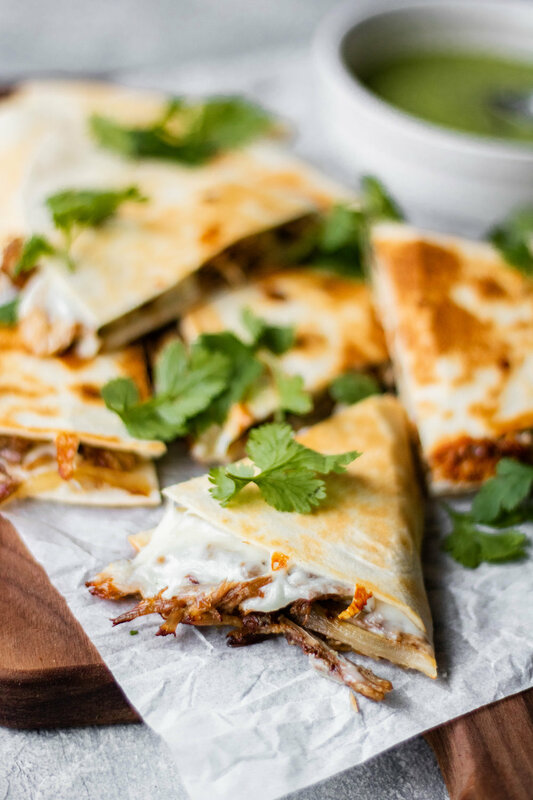 It makes all the difference to crisp up the fat and meat in the quesadilla—TRUST ME! I’m also excited to announce that I’ve got another giveaway going on over on my Instagram page! I’ve partnered with my friends at Don Pancho to send one lucky winner a HUGE box of Don Pancho swag and product—just in time for your own super bowl feast! And I have to say, their tortillas are the BEST and made these quesadillas absolutely incredible. For the next 3 days I’ll be posting recipes highlighting their products and showing you all the great ideas for game day foods! Head over to my instagram page to enter the contest! To make the carnitas: Set your instant pot to the sauté function on high. Heat 1 tablespoon of the lard in the bottom of the pot. Season pork chunks with salt and pepper. Working in batches, sear the pork on all sides until golden brown. Return all pork to the pot after and add the remaining ingredients, including the rest of the lard. Season with 1 tablespoon salt. Lock the lid in place and change the setting to 'pressure cook' on high for 1 hour. Allow for natural release and then remove the lid. Let the pork cool in the juices until cool enough to handle. Shred the pork and set aside. To make the salsa verde: place all the ingredients in the carafe of a blender and blend until very smooth. Can be stored in an airtight container in the fridge for 3 days. 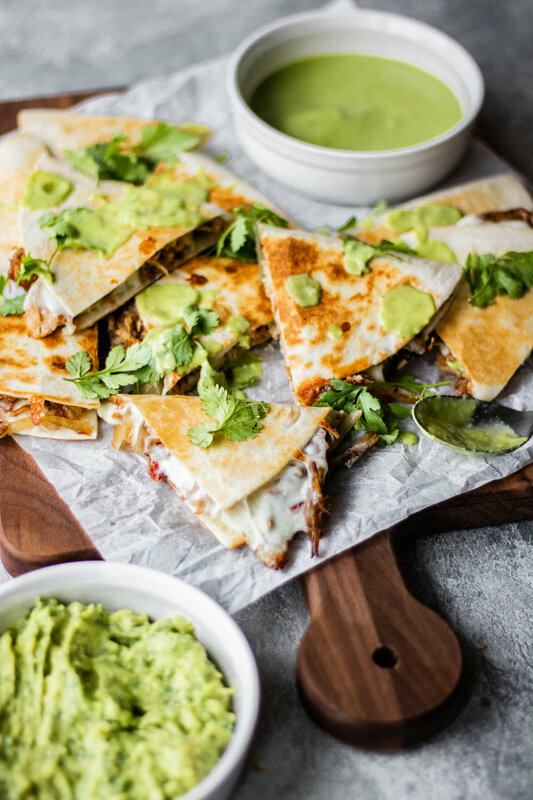 To make the quesadillas: Heat 1 tablespoon of neutral oil in a cast iron or skillet. Add the sliced onions and cook until slightly softened. Add the shredded carnitas to the pan and allow them to crisp on one side without moving them. Season with a pinch of salt if necessary. Transfer the carnitas and onions to a bowl and wipe out the skillet. Mix the two cheeses together and sprinkle half of a flour tortilla with cheese and then top with the carnitas/onion mixture. Fold the other half of the tortilla over the filling and repeat with remaining tortillas. Heat a skillet over medium heat and place two of the folded quesadillas in the pan for about 2 minutes per side, until golden brown and the cheese inside has melted. Cut into triangles and serve with salsa verde and sprinkled with cilantro. Please don't buy pre-shredded cheese! It makes such a difference to grate the cheese fresh and only takes a few minutes. 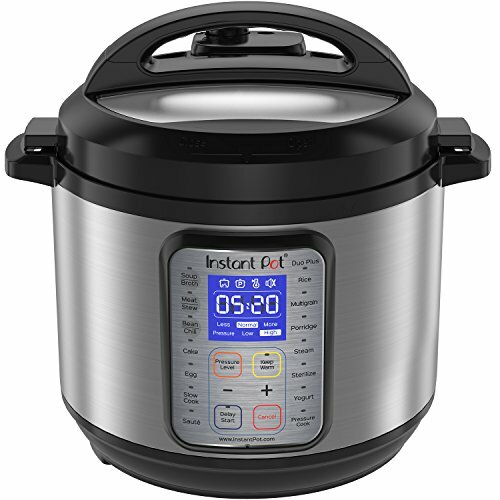 All of my instant pot recipes are for a 6qt instant pot. You can cut the recipes down to fit in a smaller pot.